It is now commonplace for property owners to install CCTV cameras and record images to secure their property. While this type of security measure is popular for domestic and commercial use, CCTV operators need to understand the laws and guidance surrounding their use. There are legal requirements involved when using CCTV in your home and business, and you should be aware of these before deciding to install it. You have a right to secure your property in the way you see fit – but not everybody is comfortable with the use of CCTV cameras. If neighbours think that your CCTV system is filming parts of their garden or you’re filming passers-by in the street, they can make a complaint about your use of CCTV. What rights do people have when being filmed on CCTV? 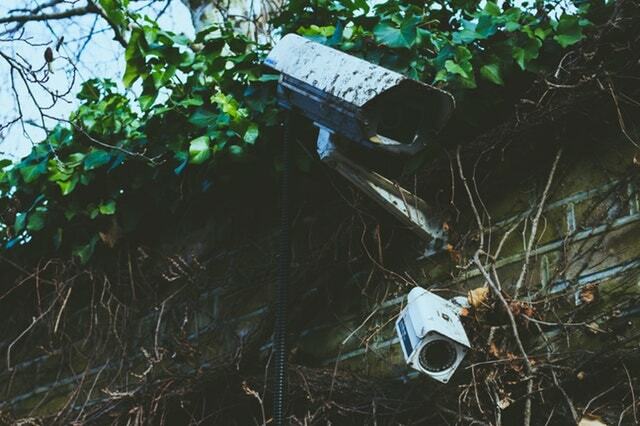 Most commercial uses of CCTV will be covered by the Data Protection Act, so business owners need to familiarise themselves with those regulations. The ICO enforces these rules and if you need any further guidance your first point of call should be the Information Commissioner’s Office website. Any organisation using CCTV must register as a CCTV operator with the ICO. CCTV operators must make the public aware that they are using CCTV and the images will be filmed and stored. A clear sign displayed in your shop, for example, is the easiest way to do this. There are some other procedures you must follow to stay compliant with the Data Protection Act. For example somebody in the organisation must be responsible for the CCTV images and decide how they can be disclosed. You also have to comply with the Freedom of Information Act, if somebody asks for a copy of the recordings of themselves. In the majority of cases, the use of CCTV on your private property will be exempt from the Data Protection Act. However, you still need to respect the privacy of others and ensure that you are not capturing footage of individuals outside of your property. You should avoid filming parts of your neighbours’ property or land, and shouldn’t film past your front doorstep or garden. In some cases, when trying to prevent crime, you may feel it necessary to capture footage beyond the boundary of your property. If the camera covers part of the street or other people’s gardens, then you will be bound by the Data Protection Act and have to comply with it. Protecting your home or business with CCTV is a popular solution. If you’re worried about capturing footage beyond your property, speak with your CCTV installer during installation, who will be able to adjust the cameras until you’re happy with the angle.